Putting in two committed performances at the Neuquén track in Argentina, Rockstar Energy Husqvarna Factory Racing’s Thomas Kjer-Olsen has started the 2018 FIM Motocross World Championship with a solid runner-up overall result in the highly-competitive MX2 class. Combining speed with impressive consistency, Kjer-Olsen wrapped up his weekend in Argentina with third in moto one and second in moto two. Enjoying great starts in what was a solid overall performance, the FC 250 powered rider heads back to Europe as runner-up in the MX2 World Championship’s provisional standings. For Rockstar Energy Husqvarna Factory Racing’s Thomas Covington, the season opening GP of Patagonia brought some mixed fortunes. Battling from a poor start in the opening moto, the young American managed to finish in 10th place. Finding himself racing in the runner-up spot before the end of the second moto’s opening lap, Thomas eventually placed 18th at the chequered flag. In the MXGP category, Gautier Paulin kicked off the 2018 season with a strong sixth overall in Argentina. Showing consistency in both motos, the Rockstar Energy Husqvarna Factory Racing rider enjoyed good starts and went on to cross the line in sixth position in each race. Knowing he has the speed to finish even higher, the Frenchman is looking forward to the coming GP on European soil in two weeks’ time. 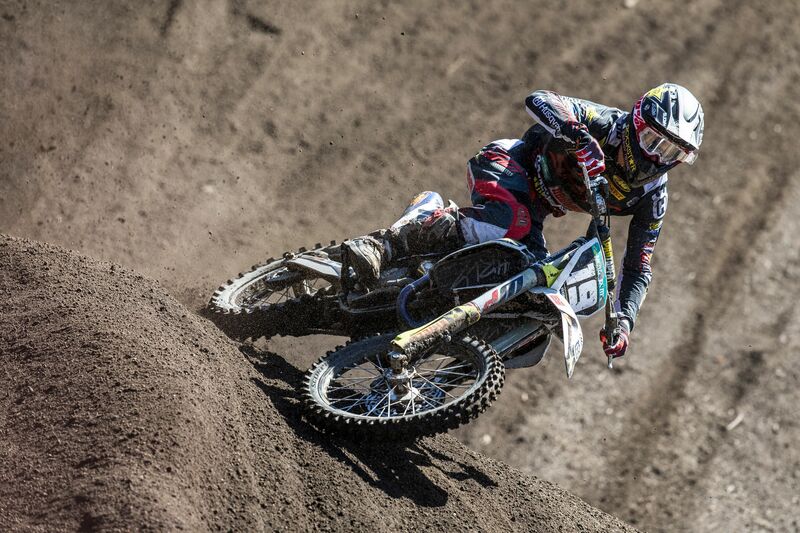 For Paulin’s Rockstar Energy Husqvarna Factory Racing MXGP team partner Max Anstie, the Brit arrived in Argentina looking to capitalise on his positive results from pre-season international races. Suffering crashes in both motos, Anstie wrapped up the season opening GP with 12/15 results for 13th overall in Argentina. The Rockstar Energy Husqvarna Factory Racing team will return to action at the second round of the 2018 FIM Motocross World Championship in Valkenswaard, The Netherlands on March 17/18.